Disasters are becoming more destructive in the United States and around the globe. Tornadoes, floods, hurricanes, wildfires, heat waves, droughts, and earthquakes are just a few of the events that threaten Charleston. If we continue our current approach, which relies heavily on responding to them after they occur, the costs of these extreme events will continue to rise, both in dollar amounts, and in social, cultural, and environmental losses. We can choose instead to embark on a new path, one that recognizes the value of resilience and provides a way to reduce our vulnerability to disasters and their impacts before they occur, with the potential to decease disasters’ costs and consequences. Resilience is the ability to prepare and plan for, absorb, recover from and more successfully adapt to adverse events – including those related to a changing climate, such as a rising sea level. Given the tremendous population growth that the region has seen and will continue to see in the coming decades, it is critical that public and private sectors come together to invest in and create a comprehensive risk management strategy before these events strike. Many risk management tools already exist and include measures such as changes in zoning and land use, improved risk communication and economic and tax incentives, as well as disaster resistant standards for new construction and the retrofitting of existing building and transportation networks. The public and private sectors should work cooperatively to encourage commitment to and investment in these tools and strategies. 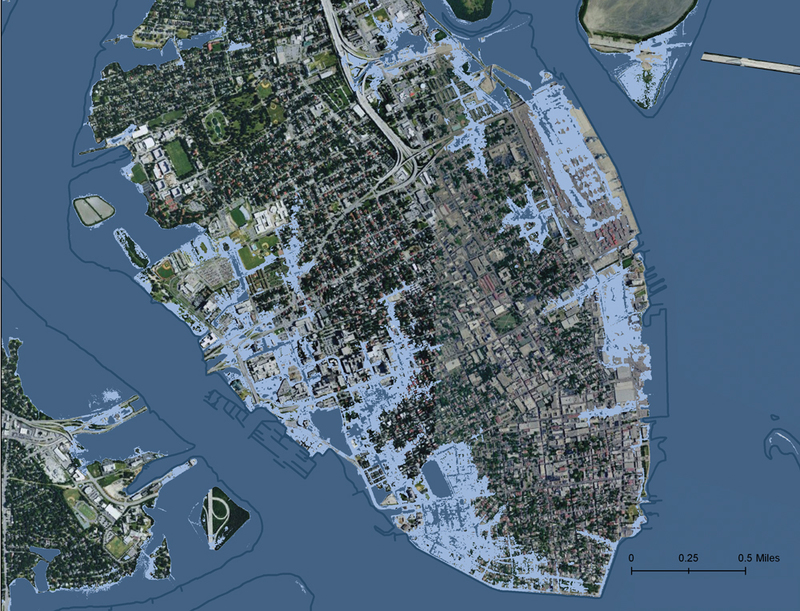 The Coastal Conservation League proposes that the Mayor invests in and establishes a current and comprehensive resiliency and climate adaptation strategy to create a safer, healthier, more prosperous Charleston. Creating a resilient Charleston is a shared responsibility, requiring the engagement of the entire community. Preparing for disasters and other adverse events requires cooperation and collaboration across a variety of sectors and industries, which can sometimes prove challenging. In addition, it is critical that real measures be put in place. A report that sits in a file cabinet, without any significant actions taken, will not do the community any good in the wake of a hurricane, or other disaster. Broad-based public-private coalitions are critical to the success of a strong resiliency program and plan. It requires that public and private leaders come together to assess the vulnerabilities of the City’s (and region’s) infrastructure and systems and plan creative ways to improve them. In addition, the National Academy of Sciences has chosen Charleston as one of three communities in the nation, to pilot its Resilient America program aimed at helping communities build resilience to extreme events. There will be plenty of opportunities for the Mayor, the City, and the public to get involved. The Brooklyn Greenway Stormwater Management Plan is an example of a resiliency planning strategy and can be downloaded here.